(Tianjin—Jan. 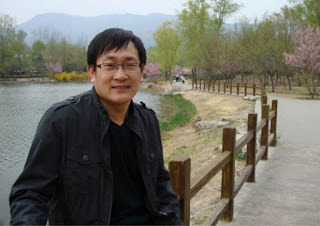 30, 2019) Wang Quanzhang had been in custody for 3 years before finally being sentenced to 4.5 years and no political rights for 5 years. He is the last among all human rights lawyers involved in the 709 crackdown to have their case settled. Wang Quanzhang is a renowned human rights lawyer who advocated for the reformation of the Chinese detention system and filed many lawsuits regarding freedom of speech and freedom of religion. In the process, he was beaten and detained by authorities multiple times. Wang was taken away by police on August 3, 2015 and no information was released of his location or condition. He was even blocked from meeting with his lawyers. His family didn’t learn of his detention in Tianjin until July of 2018 when he was finally allowed legal counsel. The lawyer implied that Wang looked panic-stricken, which made him concerned that he might be experiencing torture and maltreatment during his detention. After being in custody for 3 years, the trial was held in secret at the end of 2018. Wang was wrongly accused of “subverting state power” by authorities. The indictment indicates that the 709 crackdown is over. Li Wenzu, Wang Quanzhang’s wife, was unable to sit in the courtroom as she was blocked from leaving her house by authorities. Wang’s older sister, Wang Quanxiu, heard of the news that her younger brother was sentenced and began weeping. She was adamant about his innocence and will help with the appeal if possible. Thus far, Wang Quanzhang, Wu Gan, Hu Shigen, and Zhou Shifengare are still in prison of those who were involved in the 709 crackdown. Authorities promised that Hu Shigen would be released on medical parole when Wang Quanzhang’s case was settled.